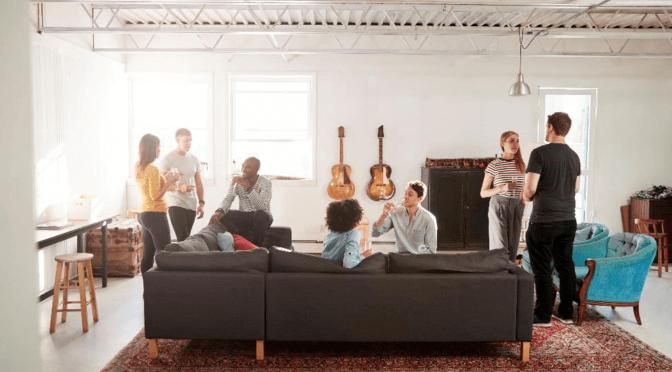 After moving into your new place in Kansas City, MO, it’s time to throw a housewarming party. It’ll not only give you a chance to show off your home but also to receive a few housewarming gifts from your friends. Central Self Storage offers a few ideas on how to plan a successful party without becoming stressed in the process. The more people you invite, the more cramped it could get. Although you might be tempted to invite all of your friends, it’s a good idea to keep the numbers low. After all, you don’t want to prepare for a lot of people but only have a few show up. Send out invites asking your friends to RSVP. You’ll know exactly who to expect and how much food and seating to provide. Make it a comfortable affair. You’ll want to make everyone feel at home in your new place. Cozy seating, good food, and soft music will make your friends feel relaxed during the party. If you recently moved to Kansas City, MO and have extra seating packed away in a storage unit, now’s the time to bring it home. You’ll want to make sure that everyone has a comfy place to sit, especially if the party continues for hours. Go light with the food. Unless you plan to host your housewarming party all day or all night, you don’t need to serve a full-course meal. Pasta, cheeseburgers, and steak and potatoes will weigh people down and take the life out of the party. Keep things light with a few finger foods, beverages, and sweets to keep everyone chatty and comfortable the entire time. It’s easy to host a housewarming party when you have a good plan from the start. Remember not to go overboard with the number of invites or spend hours in the kitchen preparing food. If you keep it simple, you’ll have a more successful and enjoyable event. Whether you need a long-term storage solution for your belongings in Kansas City, MO or just a short-term place to store them out of the way until the party’s over, Central Self Storage can help. We’ll keep your belongings sheltered in our conveniently located storage units until you’re ready to move them back home.